One of the things that has surprised me most in the wake of Charlottesville is how difficult it is to listen well. I’ve been trying to practice intentional listening for the last 10 years, and I fail at it. But what I know is this: whenever I feel defensive, I’m not listening well. When we took our first steps into Iraq over a decade ago, I encountered a daily reality so different from everything I knew and believed. I would walk down the street, and strangers would invite me to come into their homes and sit and talk together. Invariably, they would start discussing the war and the terrible repercussions of the US invasion. This is when I would plaster on a smile and try avoiding the urge to push with something like, “This is all Saddam’s fault, not America’s. Why are you so mad at me?” I would leave the conversations feeling so defensive and guilt-ridden. I felt like they were blaming me, putting the fallout from an entire war on my shoulders. Once I learned to take myself out of the equation, I realized that people are just telling their story, the reality of their experience. In talking about the war, they weren’t blaming me personally for their lost homes and lost family members. Their painful experience, shared with me, became a gift—because it helped me to see them more fully. At the same time, even though I wasn’t directly responsible for the war—it’s not like I had ordered troops into Iraq—I came to understand that I had still benefitted from the war. My community benefitted economically from war. We benefitted from the peace of mind that came from telling ourselves that by taking the fight “over there,” we wouldn’t have to suffer ourselves or endure more attacks over here. My country, my city, and my family were all living better, nicer lives—many of us undisturbed by war—at the expense of these new friends in Iraq. It wasn’t long after this realization that I started apologizing for the war when it would come up. Apologizing for the devastation and loss and my role as a beneficiary in it. The amazing things that happened when I started doing this are more than I can count. It has opened doors for us to serve across Iraq—in Fallujah, Tikrit, Nasiriyah, Najaf, and elsewhere. 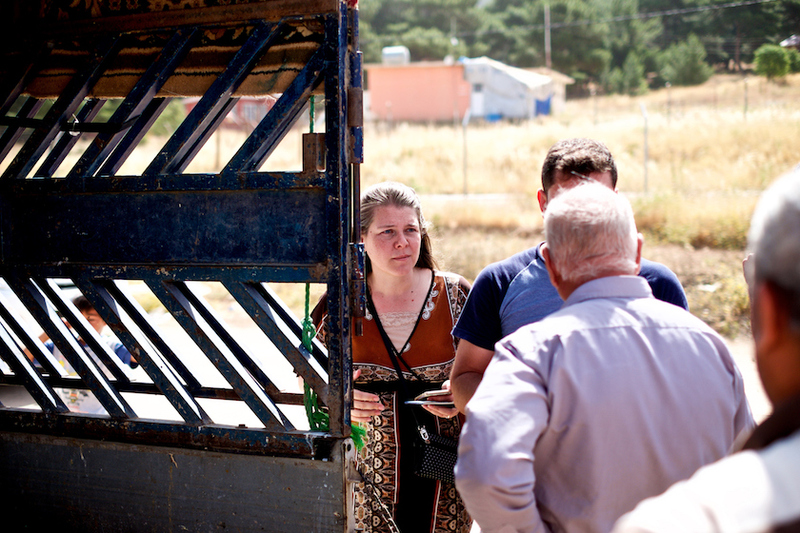 That, in turn, opened doors for us to respond in places where others couldn’t when ISIS stormed across Iraq in 2014 and millions began to flee. Most of all, it has brought incredible new friendships into our lives. There is so much healing to be had when we recognize how integrated our lives are—when we see that no decision is purely individual, but affects people all around the world. These last few years, I have found myself needing to listen better in America, as well as at home in Iraq. As I’ve become more aware of how people of color in America experience a different reality than I have ever known, I have sought out people in these communities to help me understand their stories. It is truly one of the hardest things I have done—because again, I am confronted with a reality that is different from everything I knew and everything I once believed. And then, I realized as I did in Iraq before, what a gift it was that someone with a different experience than mine would take the time to invite me in and patiently teach me. Honestly, even knowing that, I still find myself feeling defensive when I hear certain statements or read certain articles. But if I am really listening for their story and not thinking about myself, I can empathize and begin to understand how terrible that experience must have been and must still be. And when I get away to search out my heart and examine why I feel defensive, I find myself in the same place I did 10 years ago in Iraq. I find myself wanting to apologize for all that has happened and for the many ways I have benefitted at their expense. When we sit with people and listen to their experience, without inserting ourselves and what we think they are saying about us, it allows us to identify with that person and meet them in their joy or pain. Then we can walk away and be still and examine our role, our responsibility in causing their pain. After that, we can begin to search for our role and responsibility in responding to that pain. Both are necessary so that we can all move forward together.